Several years ago, Mike and I worked in the office together at a local Plumbing & HVAC shop. Before Mike came to work in our office, I had called the HVAC Superintendent my “Office Husband”. You know, that person you work with that is always willing to help you when you need, and even when you don’t. Jesse, the HVAC Superintendent, has a heart of gold and would give you the shirt off his back- while teasing you about needing it. He has his days where he can be a bit…salty, but he’s one of those people persons that always wants to chat and make you laugh. Mike still works with Jesse, but I have moved on to different things. Whenever I go in to see Mike at work, Jesse will be there and tell me whatever funny story or news he has going on in his life. As you can tell, I have a soft spot for this man. Sometimes it would be like having another dad around. I used to bring in any extra baking creations I had to share with the guys at the shop, and Jesse would be one of the ones to ALWAYS make sure to grab some cookies, cupcakes or truffles. He has a sweet tooth and looooved when I’d bring in goodies. He’d talk about it for days after. Jesse’s birthday is in May, and I like to remind Mike so he can pass on my birthday wishes. This year, I wanted to do something a little extra for Jesse. 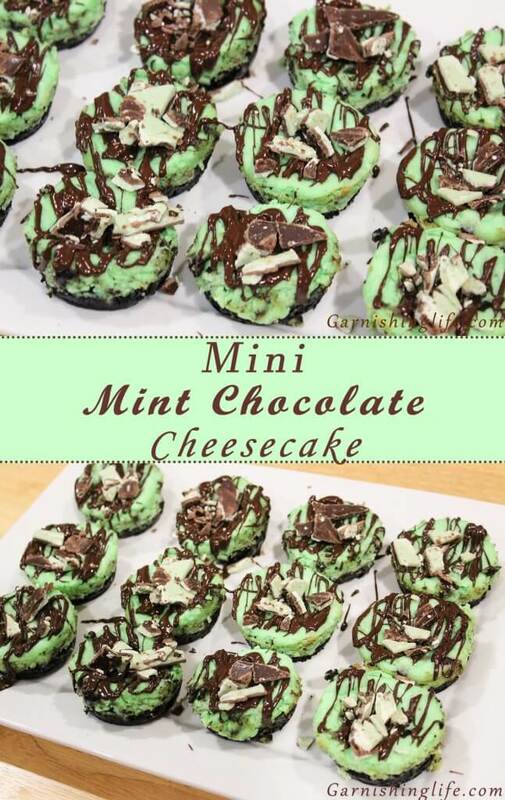 So after a lot of looking through my dessert recipe binder, I landed on these Mini Mint-Chocolate Cheesecakes. They are just unique and pretty enough, I figured they’d make a great surprise. And he was thrilled! So, I wanted to share the recipe with you. Maybe you can surprise your own “Work Husband” with them! As with most of my recipes, start with preheating your oven- 325°. Generously spray your cupcake pan with cooking spray. In a bowl, mix Oreo crumbs, sugar and butter. Divide crumb mixture evenly into cupcake pan, and press down and up the sides to make a crust. You don’t need to go all the way up the sides – unless you want to. I go maybe ⅓ of the way up. Bake 5 minutes. Cool crust while preparing the cheesecake filling. Be sure to add the filling to crusts after they’ve cooled down, don’t fill a warm crust because it will alter the baking temperatures a bit. Now, make sure the cream cheese is room temperature-ish. You don’t want it to be hard and cold. Blend cream cheese, sugar and oreo creams in your standing mixer. 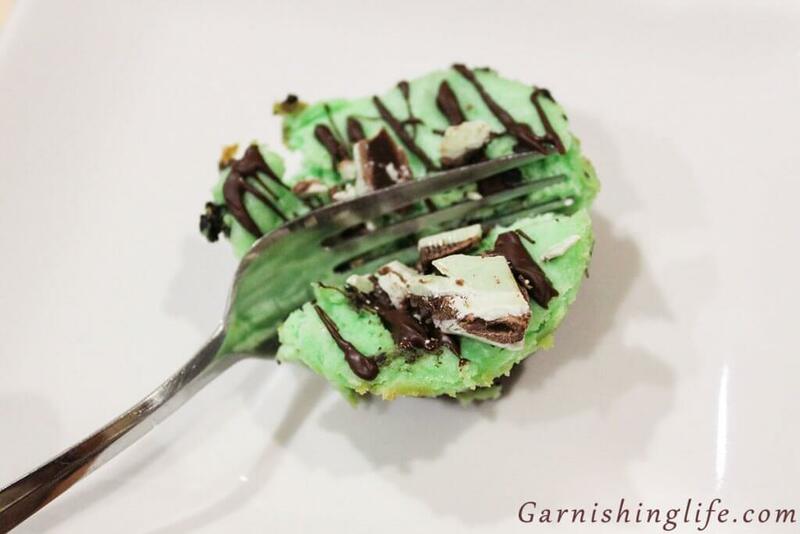 I use the original Oreos, but for a little extra mint taste, you can use Mint Oreos. They’re just as good! Mix the filling until smooth and creamy. Then, you add your egg, a couple drops of food coloring and mint extract. Keep mixing on low to combine. Stir in ¼ cup of semi-sweet chocolate chips. And spoon that into your cooled- prepared crusts. This filling looks so yummy already. I love how the chocolate chips stand out against the bright green. 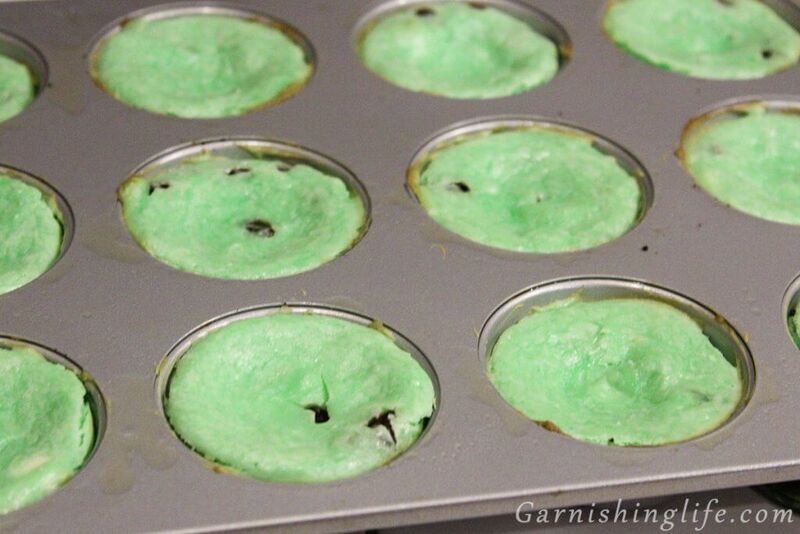 This would also be a great St. Patty’s Day treat! Because I am a perfectionist, I like to smooth out the tops of the cheesecakes to make them pretty. Who wants lumpy looking cheesecake?! You can use a butter knife, frosting spatula, or the back of a spoon. They’re still not flawless but it already looks nicer. Now, we bake. After the 25-30 minutes, turn off the oven and open the door to slowly bring it back down. I’ll leave it to sit in the oven for about another 30 minutes. Then very gently, run a knife around the edges to loosen the cheesecake from pan. I do this so it is easier to remove later. If you skip it, you may get some cheesecake left behind. Let the cheesecake cool for 1-2 hours, which is just long enough that the pan and filling aren’t hot anymore. Cover, and chill overnight. Next is the fun part! The topping! Melt ⅓ cup of semi-sweet chocolate chips per instructions on the bag and then add 2 tsp of vegetable oil. Stir well to combine. This creates a nice, runny chocolate for drizzling. You don’t have to use the oil, it can be straight chocolate, but it’s a bit thicker that way. I like the runniness for drizzling. You can drizzle in patterns or just straight lines. I tend to zig-zag straight up and back down. To crush the Andes Chocolate Mints, I place them in a ziploc bag and use the heel of a knife to give them a couple hits. This will create small chunks. The more you hit them, the smaller. I like it chunkier, so I try not to fully pulverize them. But you can if you’re feeling it. 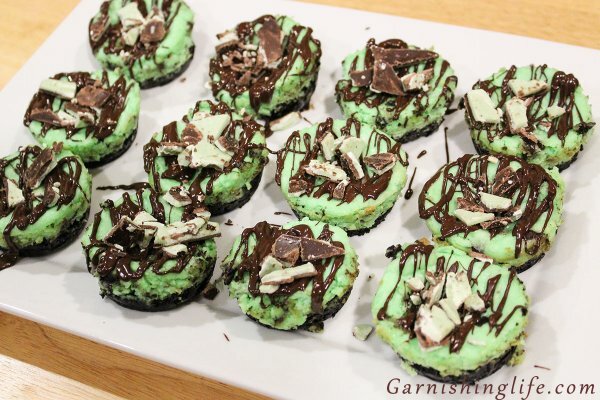 Then, Garnish with your chunks of Andes Chocolate Mints. 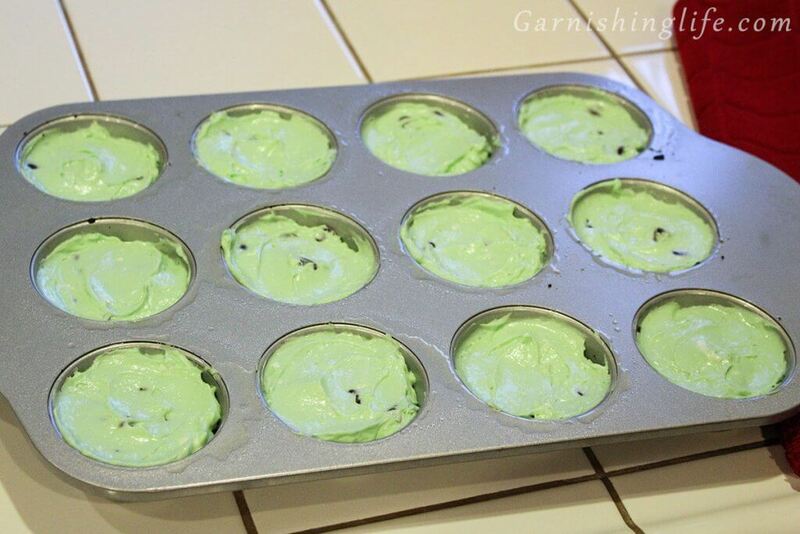 Spray cupcake pan well with cooking spray. 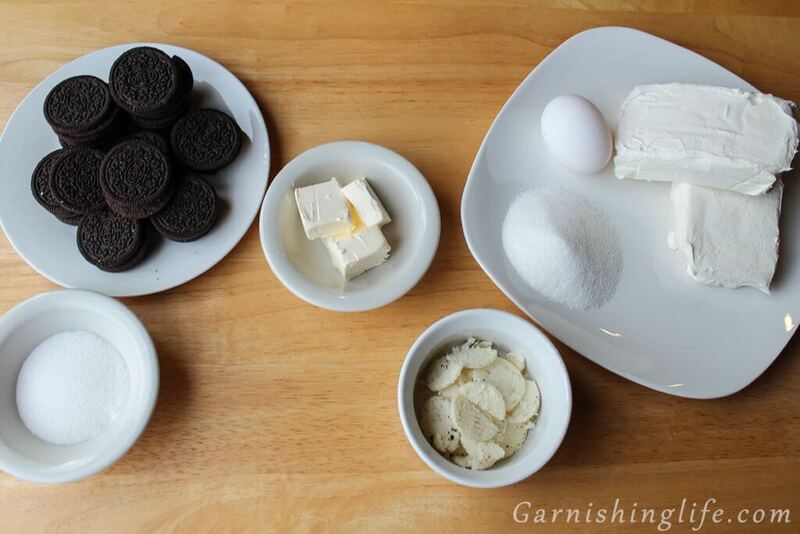 In small bowl, mix Oreo crumbs, sugar and butter. Divide evenly into cupcake pans and press down to shape the crusts. 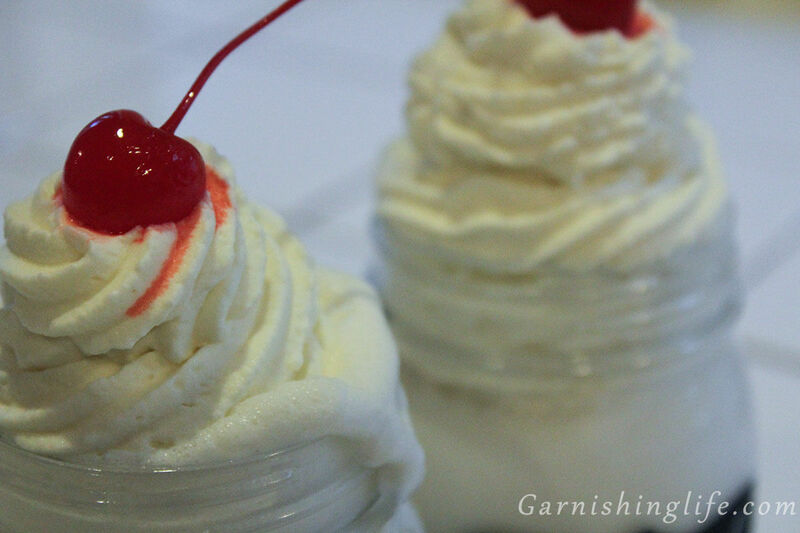 In standing mixer, blend cream cheese, sugar and oreo creams until smooth and creamy. Add egg, food coloring and mint extract. Mix on low to combine. Stir in ¼ cup of semi sweet chocolate chips. Spoon filling into the prepared crusts, dividing evenly. Turn off oven and open the door. Allow cheesecake to sit in the oven for another 30 minutes. Gently run a knife around the edges to loosen. Cool 1-2 hours, then cover and chill overnight. Before serving, melt ⅓ cup of semi sweet chocolate chips per instructions on bag. Stir in 2 tsp of vegetable oil. Drizzle over the tops of the cheesecakes. 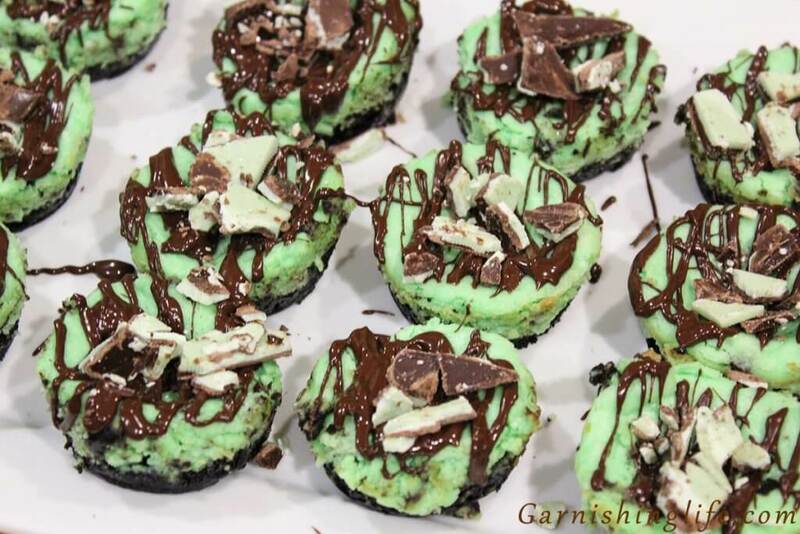 Crush Andes Chocolate Mints into small chunks. Garnish with Andes Chocolate Mints. To avoid a lumpy or chunky cheesecake, make sure you let any refrigerated items sit outside of the fridge for an equal amount of time. The cream cheese should be out long enough to soften. I’ll also allow the egg to come to room temp, at that time. 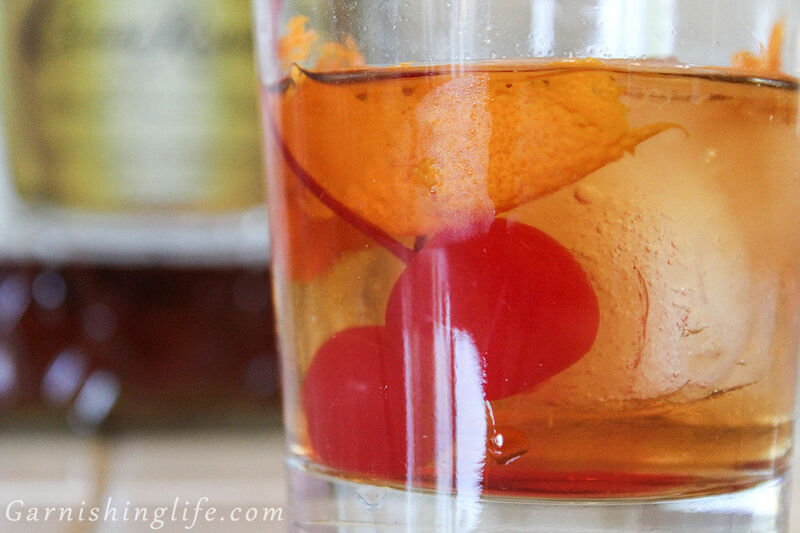 The ingredients tend to blend better at the same temps. Store cheesecakes in an airtight container, up to 1 week. Use your melted chocolate mixture right away. The oil will help delay the chocolate from hardening if it’s sitting out - but once the chocolate hardens, it’s a PITA to remelt properly. I try to avoid it at all cost. I love chocolate chips, so the more the better for me - but if you prefer to bring it down a bit, use some mini-chocolate chips.